Why are our people so passive? If a client is having problems caused by their employees being passive, we usually know where we have to look to find the root cause. It nearly always boils down to there being too much control (such as for example with the belief that ‘measuring is good, controlling is better’ – a fairly worthless concept, by the way). Excessive control forces employees to think less, take less responsibility and immediately escalate all problems. This leads to brains not being sufficiently stimulated and indeed results in a dull, passive situation. The work still gets done, but companies like this will fail to grow. Our client Continental has therefore rejected the idea that ‘measuring is good, controlling is better’. And they work in a highly automated production environment with an extremely small tolerance for faults. In the most severe case a customer could have a car accident if a Continental product failed because of a manufacturing fault. But still they want to exert less control. Instead they encourage more self-control. 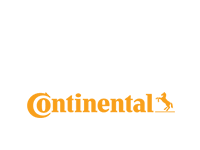 Machine operators at Continental are given as much freedom as possible and have to take their own responsibility for producing good quality products. They try to resolve their own problems; indiscriminate escalation of issues is no longer accepted. What effect did this have on the quality of products? There was no quantifiable effect; products are still top quality. Because there are of course still controls in place at Continental, but operators are also asked to help formulate the solutions to problems. Now, thanks to a halt being put to systematic escalation, management has much more time to focus on the future, such as for example the planned expansion of production.